NORTHAMPTON, Mass. 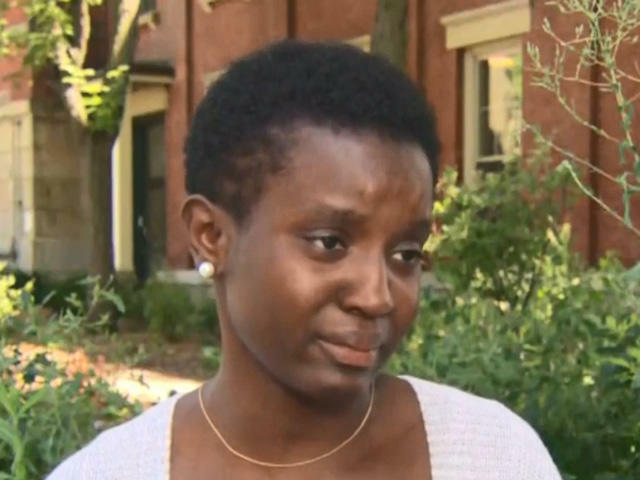 -- Smith College is investigating after police were called to check out a black student who was eating her lunch in a common room. "This shouldn't happen to anyone at all," Oumou Kanoute said through tears to CBS Boston. Kanoute is a rising sophomore at Smith. She works at a summer program teaching chemistry to high schoolers for Smith's STEM program and was reading in the dining hall of the Tyler House dorm Tuesday. She recorded video with her phone, adding her own text on Instagram, with a post that's prompted outrage from supporters. "It just still upsets me to just talk about it because I don't even feel safe on my own campus and I'm away from home. I'm the first in my family to go to college. I'm doing this not only for me but for my family, for my ancestors," Kanoute told CBS Boston. Smith's president sent a statement apologizing and assuring her that "she belongs in all Smith spaces. This painful incident reminds us of the ongoing legacy of racism and bias in which people of color are targeted while simply going about the business of their daily lives. … Building an inclusive, diverse and sustainable community is urgent and ongoing work."